Maybe I need to get out more, but I didn't know you could get eggs this cool without actually painting on the egg. The best part is that it was just as easy and took the same amount of time (maybe less) than single color, dye pot eggs. Plus the fact that it picks up the pattern of the fabric you use on the shell makes it feel a bit like a magic trick. And did I mention it was easy? Because it is sooo easy and mess free. 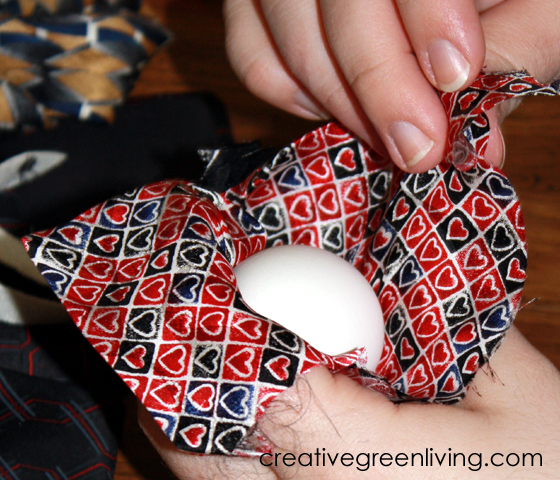 If you are using a tie, disassemble it and discard anything other than the silk outer shell. 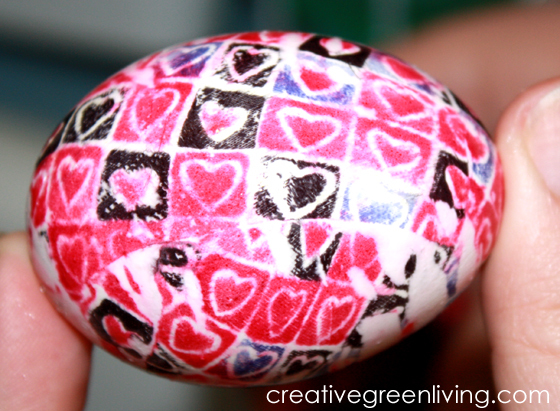 Cut a piece of fabric large enough to wrap around the egg. 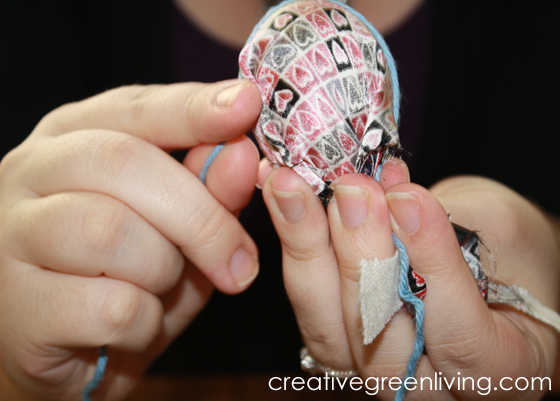 Wrap your egg up in a little nest of silk, bold side toward egg. 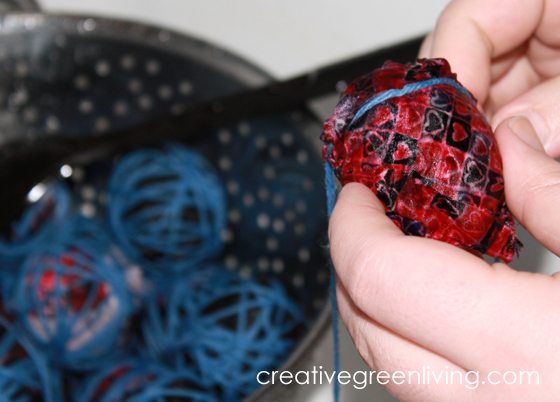 Wrap the cotton yarn around the egg so there is so air between the silk and the shell. 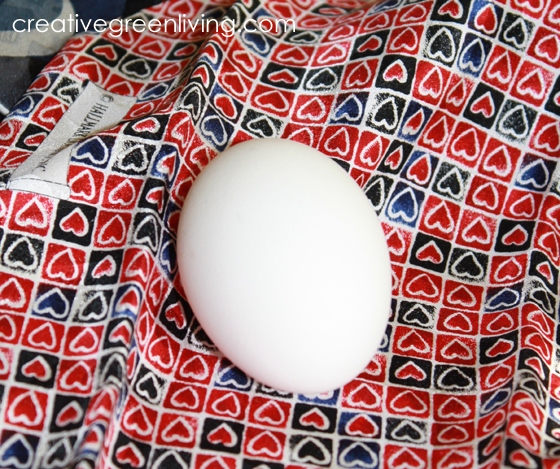 If there is a spot where the silk is not tight up against the egg, those spots won't transfer. 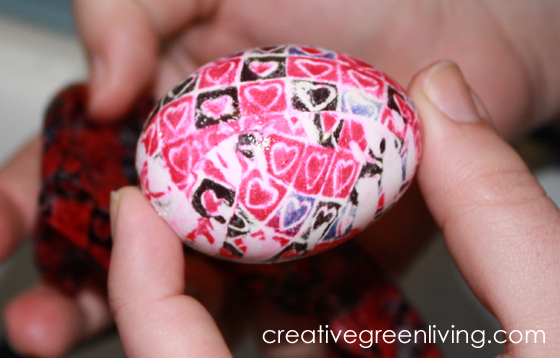 Make sure the eggs are well wrapped and then set aside. 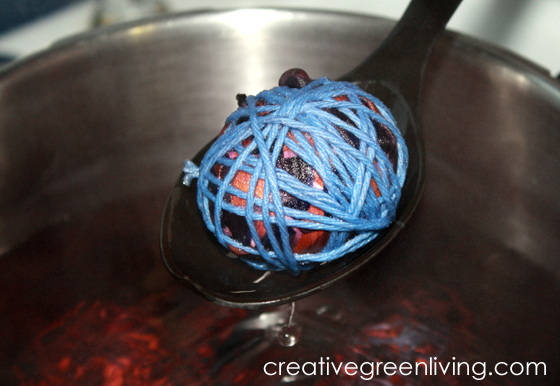 Gently load your eggs into a large pot and cover with 1-2 inches of cold water. Add a "glug" of white vinegar (I would estimate a 'glug' to be approx 1/3 - 1/2 cup). Cover and bring to a boil. Continue to boil for about 20 minutes. 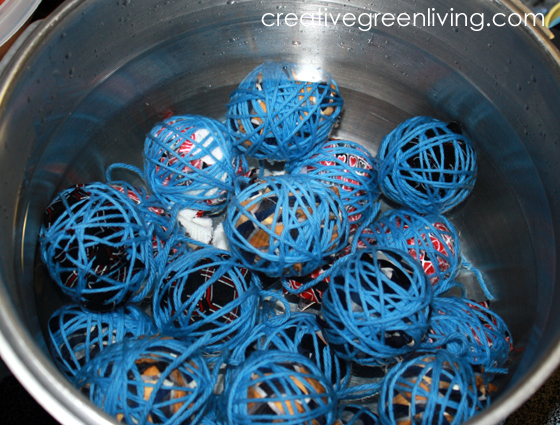 After 20 minutes, lift them out gently with a slotted spoon and place them in a colander in the sink to cool. Allow to cool for about 5 minutes before running cold water over them to expedite the process of cooling. Ta da! It's like magic! Now, remember how I told you to make sure the silk was very tight against the egg? Those white blotches are places there the silk was not tight enough. 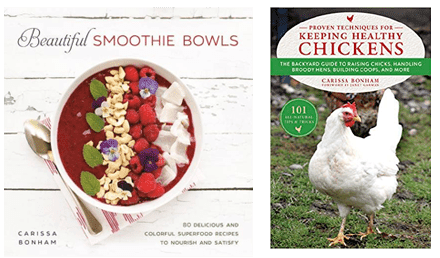 Continue unwrapping your eggs and setting them back in the egg cartons to keep in the fridge until it's time for your favorite cotton tail to come hide them for you. Out of all the egg decorating ideas, this is the most unique and creative!! We are definately going to try this. My husband put several ties in our donation box. You are a genius!! This looks less messy than dye in a cup. 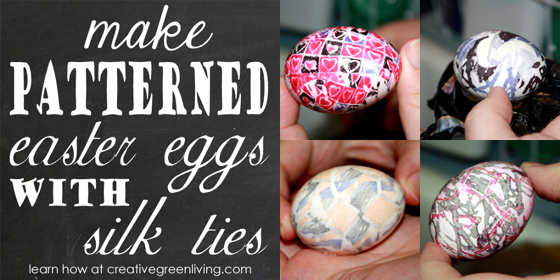 My husband has few ties that would make better eggs than ties. I am curious about the dye? I am assuming you would not eat these eggs. The dye on the ties would not be safe. 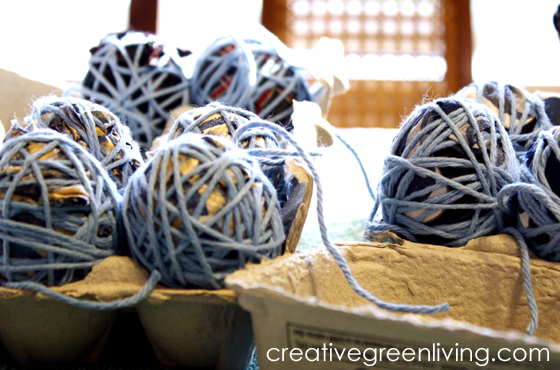 Do you cover the eggs with the silk while they are raw? Then they cook and dye at the same time?